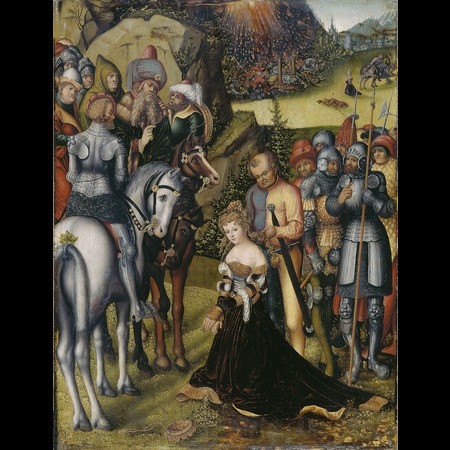 St Catherine kneels in the centre of the foreground wearing a black dress with a gold brocade collar. 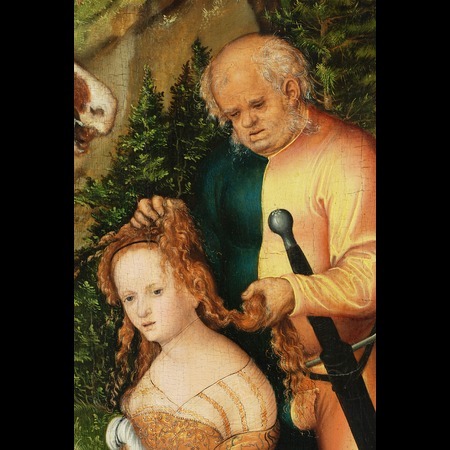 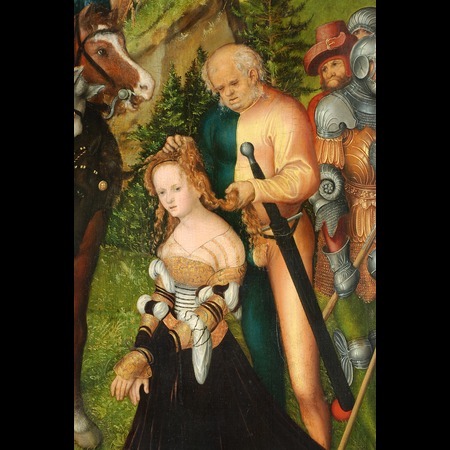 The henchman stands behind her to the right and removes her long blond curls from the nape of her neck. 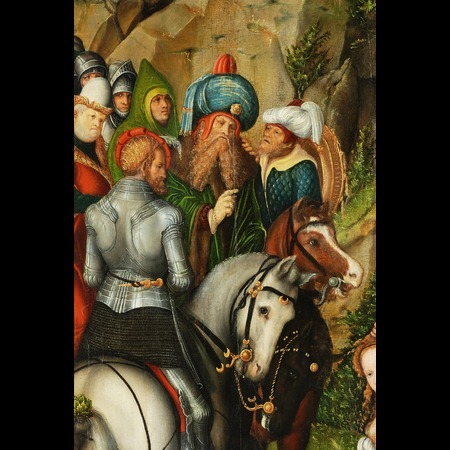 A group of figures stands in the middle distance on the right and a further group with two men on horseback is positioned in the middle distance on the left. 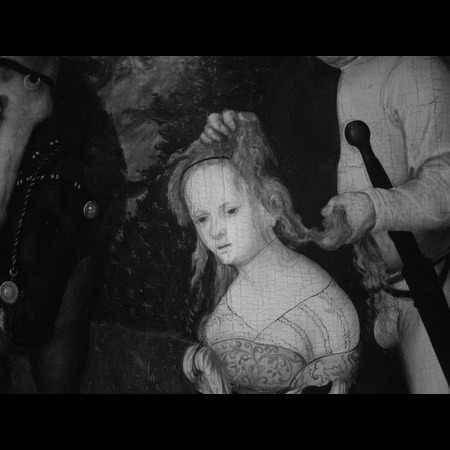 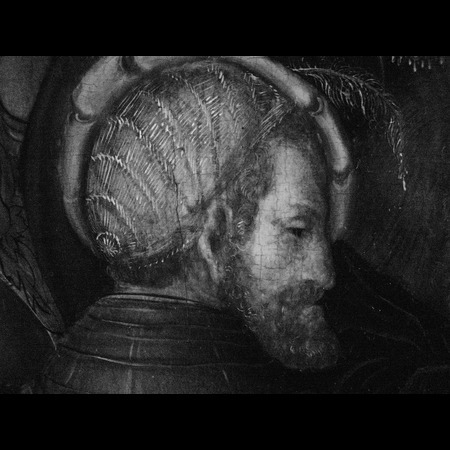 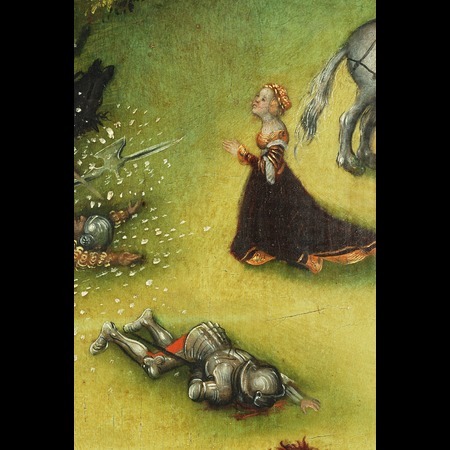 Another scene from the legend of St Catherine is illustrated in the background. 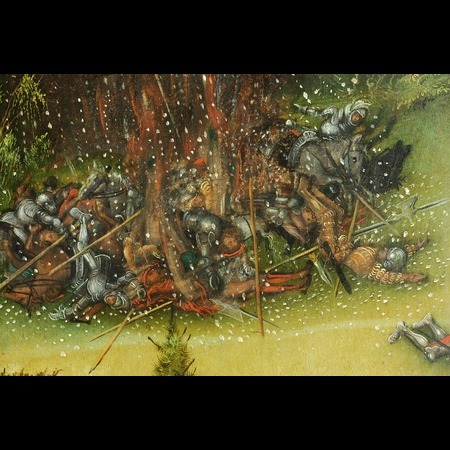 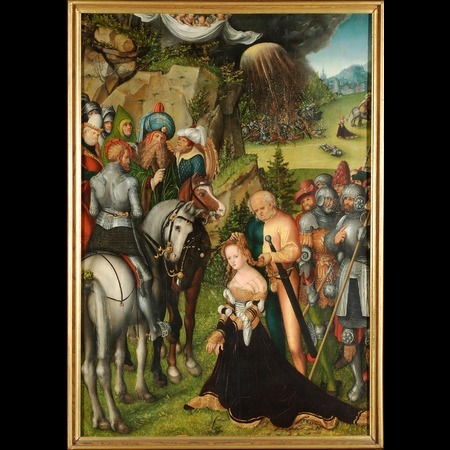 It depicts the storm destroying the wheel on which the saint was to be martyred. 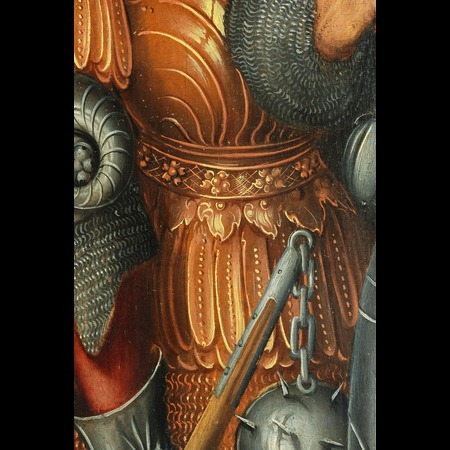 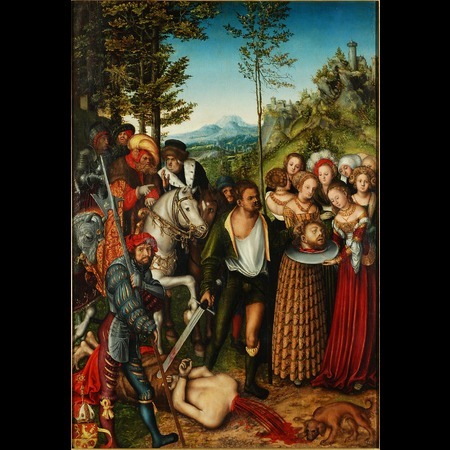 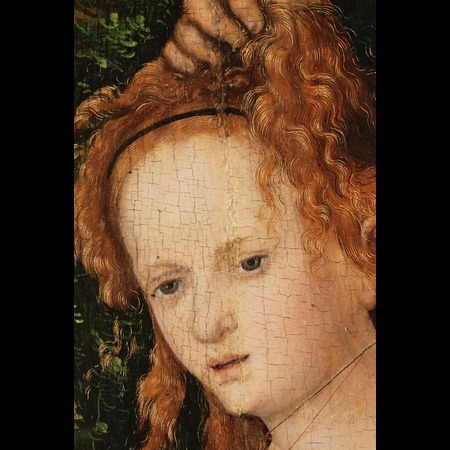 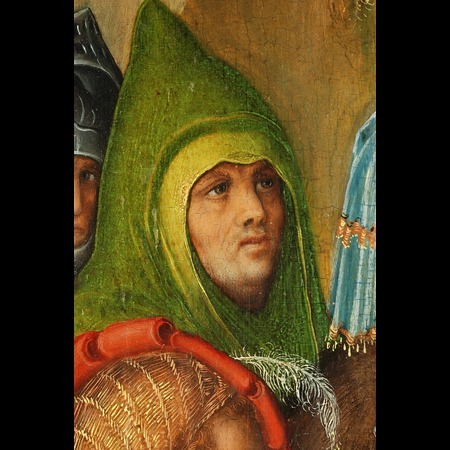 The pendant to this painting depicts the beheading of St John the Baptist and is in the same collection (FR73). 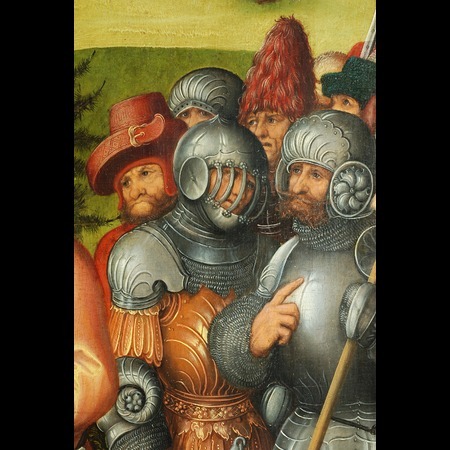 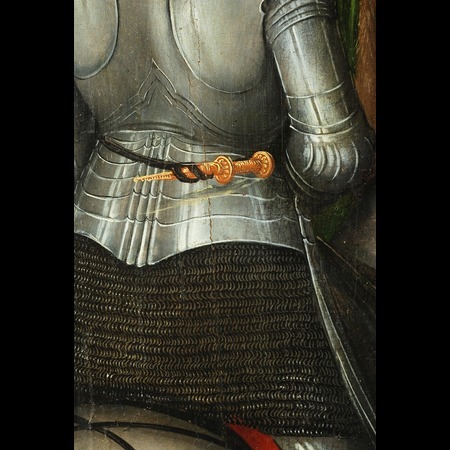 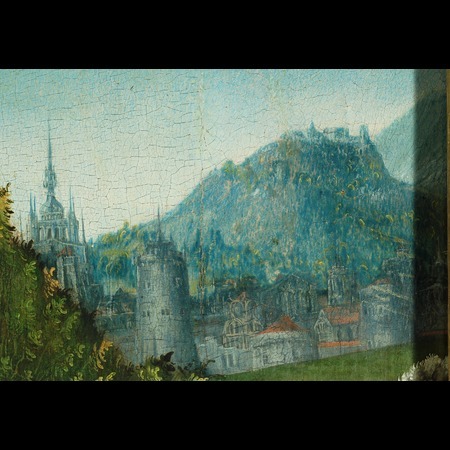 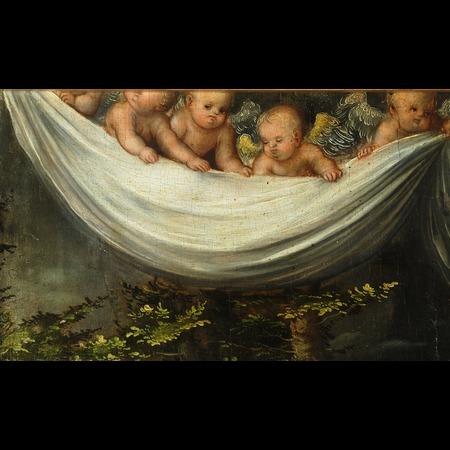 Both panels may once have been the verso of wing panels belonging to a triptych. 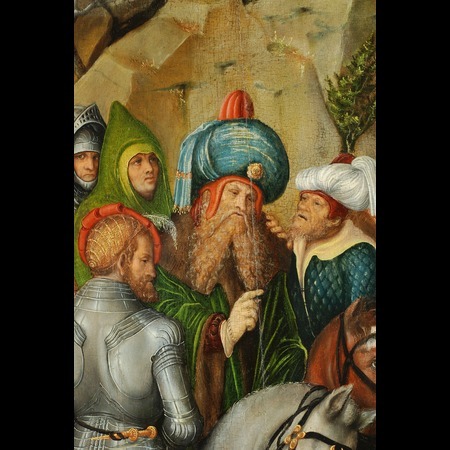 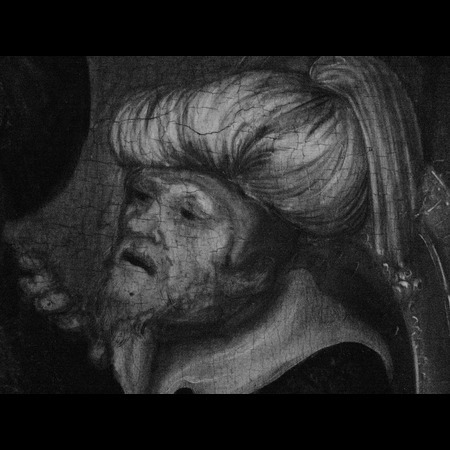 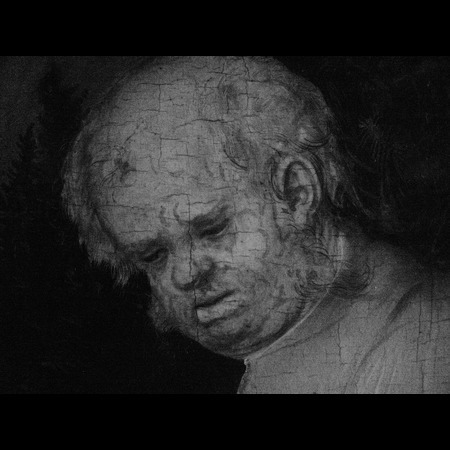 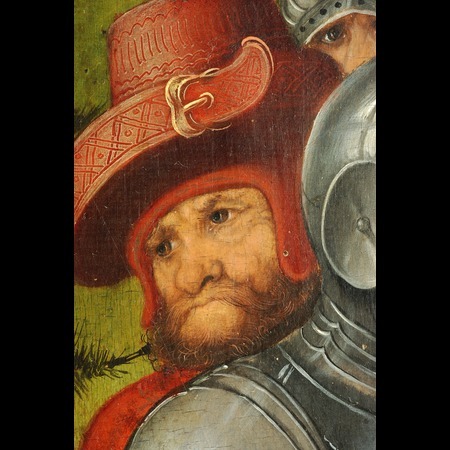 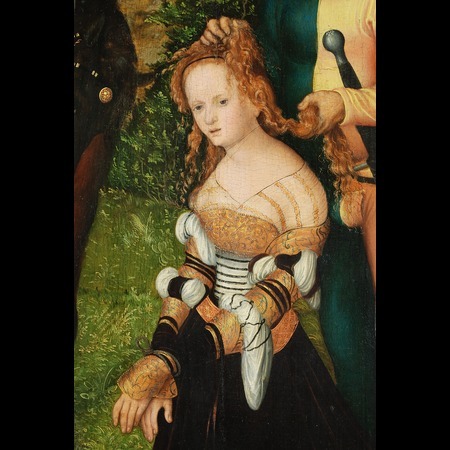 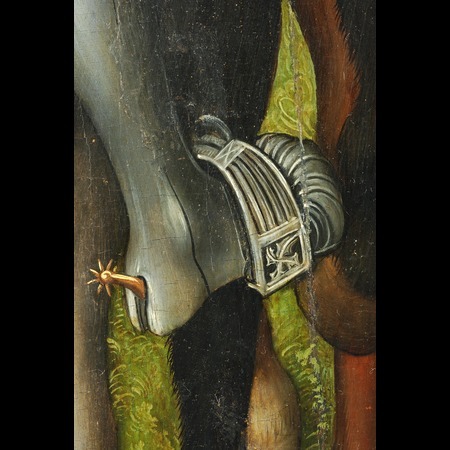 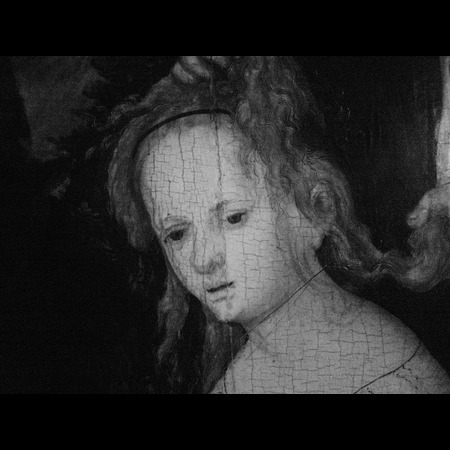 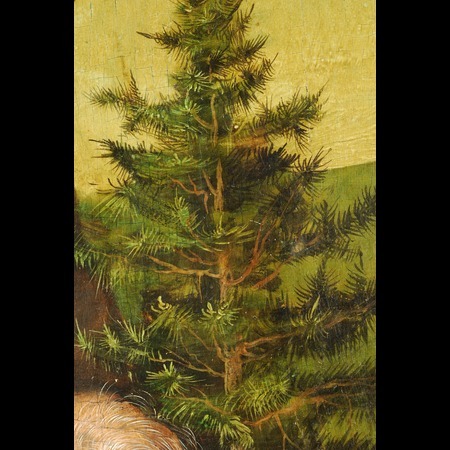 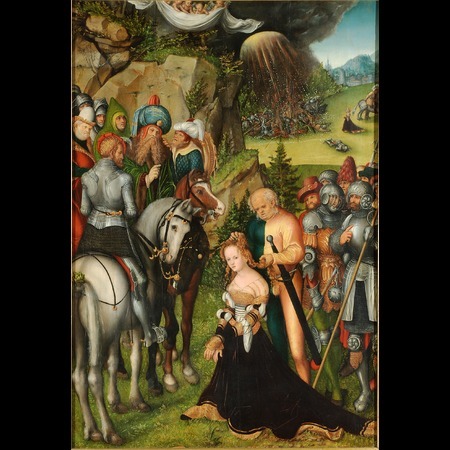 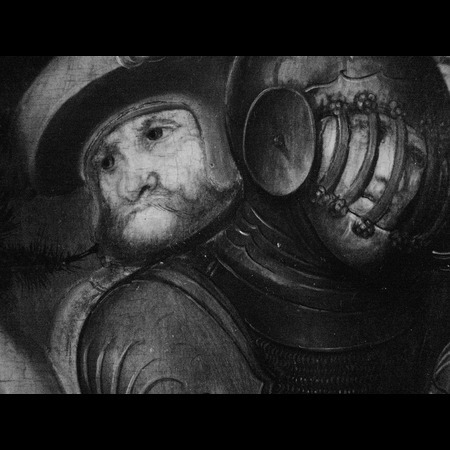 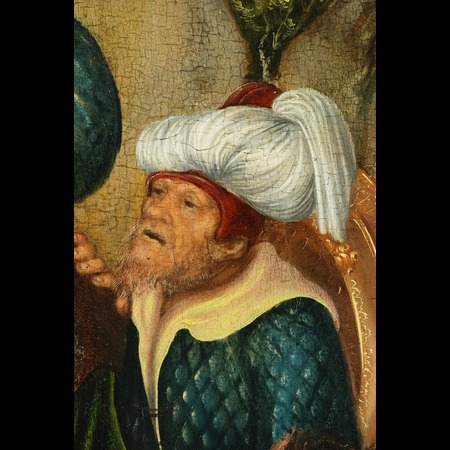 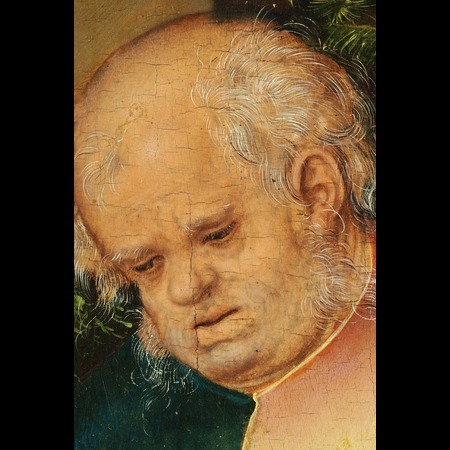 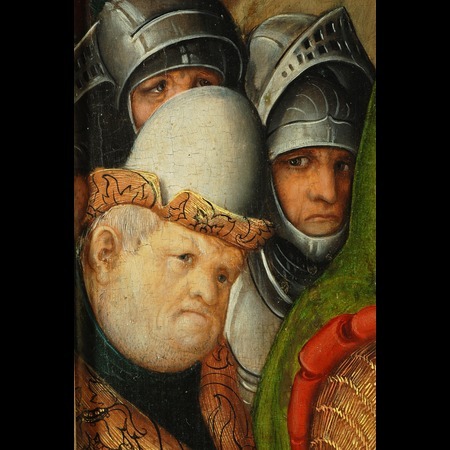 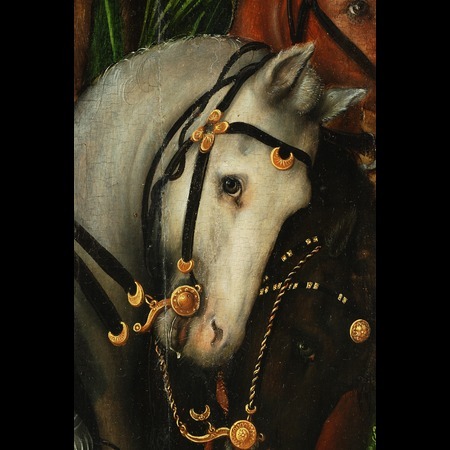 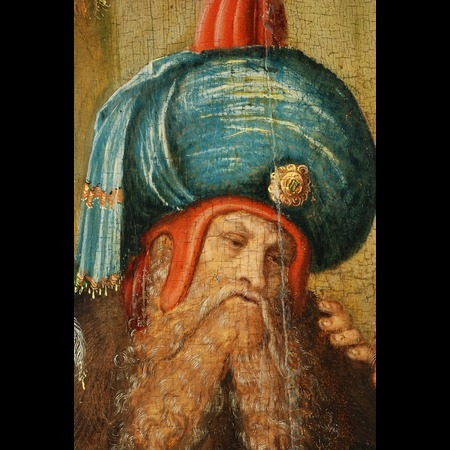 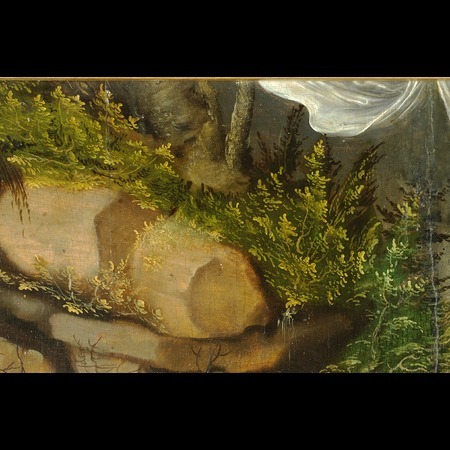 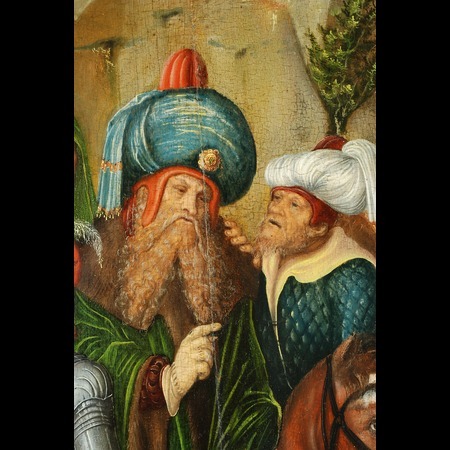 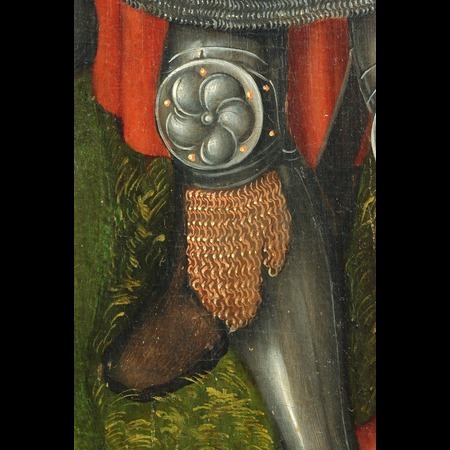 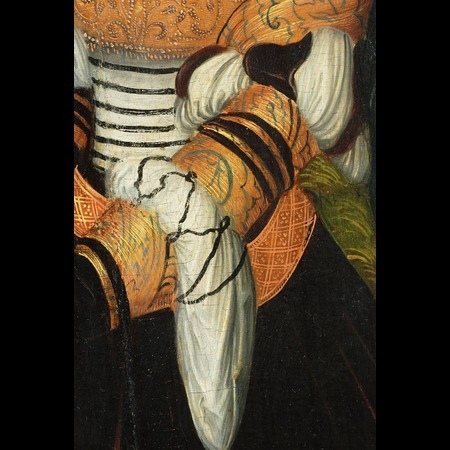 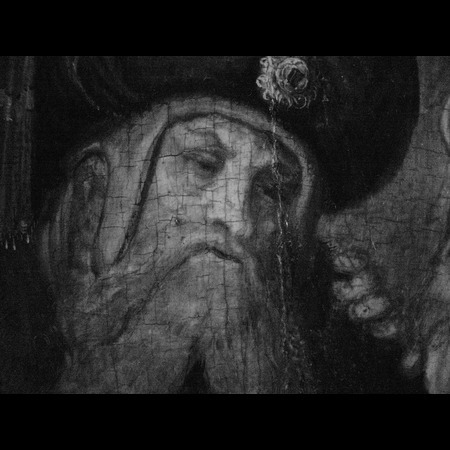 - Lucas Cranach the Elder?